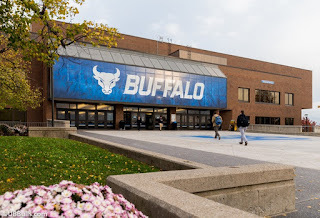 BUFFALO, N.Y. -- In a continued effort to enhance the fan experience at University at Buffalo athletic events, the school has announced a new pilot program to sell beer at men's and women's basketball games this season as well as football games next fall. 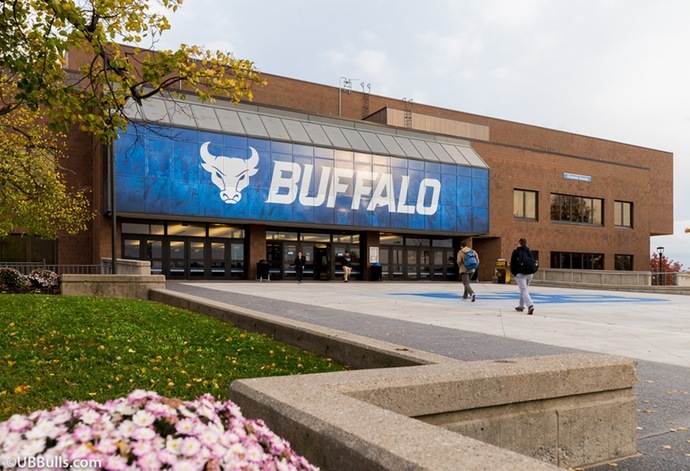 The school is looking to introduce the program on November 24 when the UB men's basketball team hosts Marist at Alumni Arena. The goal of the UB Athletics Department has always been to create the best game-day environment for its fans. Improvements in recent years included the creation of Stampede Square and its Tailgate Concerts as well as a variety of food trucks and family-friendly activities. UB has reached an agreement with Try-It Distributing to provide a variety of beers at athletic venues to fans 21 years or older. Beer will be available at special vendor kiosks at Alumni Arena. UB is joining the numerous other NCAA institutions, including Mid-American Conference schools that offer beer sales at their venues. Those who contribute to the Basketball Game Day Benefits Program can gain access to the Bull Pen Club, as well as a number of other exciting benefits, by making the required minimum donation. For more information about our Game Day Benefits Program and the Blue and White Fund click here. Lyft is the official rideshare partner of UB Athletics. Bulls fans can receive a $20 ride credit by signing up and using the promo code "GoBuff". The UB men's basketball team, ranked 22nd in the nation, will host Marist on Saturday at 2 pm at Alumni Arena.